Yay for Friday and a long weekend! It is time to share with you all some Friday favorites. Today I have a mixture of all things related to school ending, summer tips, plus some favorites from other bloggers. When my friend Ashley asked me to be a part of her new series, I was so excited! I love how she is sharing different moms from Instagram and helping us all to connect. Hop over and read my interview and connect with Ashley on Instagram! 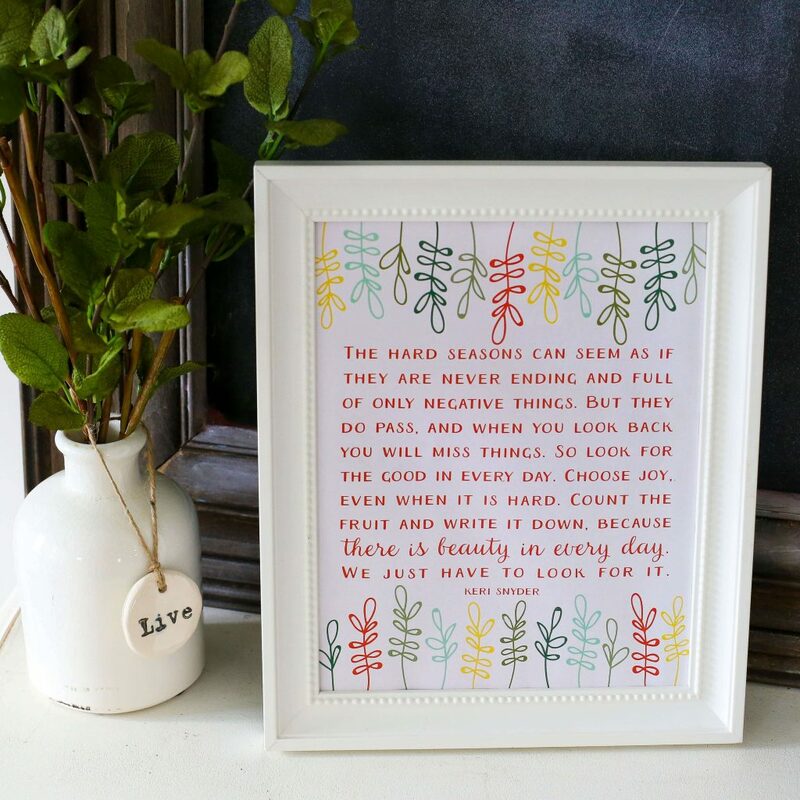 You can also download a free printable with an encouraging quote. I love filling my home with words of truth. It is such a fun way to fill our homes with beauty. Recently, Par La Grace sent me two lovely signs for our home. These signs have my favorite sayings on them and I adore having them in my home. One says It is Well and the other says Choose Joy. In all of the ups and downs of life, I love having these words look at reminding me of what is true. As an extra special treat, they are gifting one lucky reader with a $35 gift card to their shop! Head over to Instagram to enter! Giveaway ends Monday, June 5th at 8pm EST. We are so excited that school is finished for the year! Hooray! I am excited for slower days. As usual we ended our last day with lunch from Chick-fil-A. We also kicked off our Summer Challenge (don’t worry your email will arrive Sunday!) and made fidget spinners using this tutorial. They were a huge win with the boys! Claire just liked making little Lego people and a house for them. Did you hear about my Summer Challenge yet? I am so excited about this. Last year we did this and it was a lot of fun and I am really excited to document it this year. Here is the challenge. Monday- Friday we will do one fun activity. 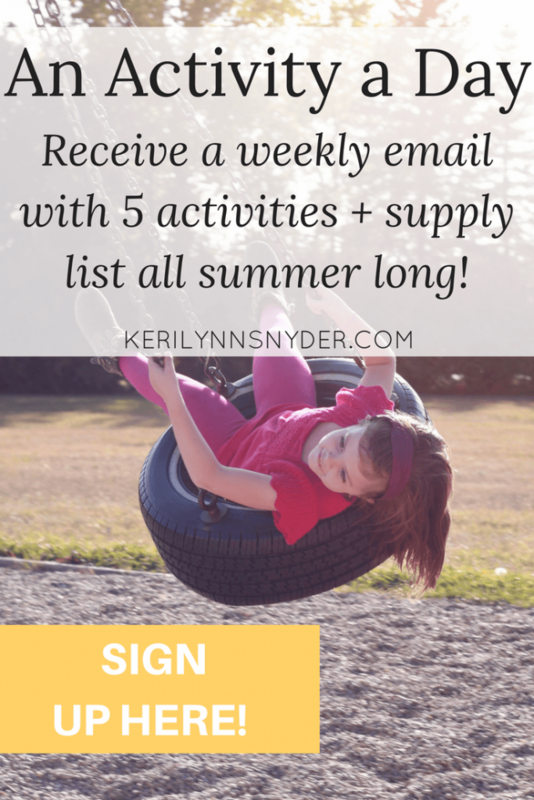 This worked so well for us last year because it took all of the pressure off of me to have these intensely planned days full of summer fun. Instead, we had our one activity and then filled the rest of the day with a variety of things. The kids were having time to play, imagine, and create and I had space to breathe. So this summer we are doing it again and this time I am inviting you to join us! Share your summer fun using #thrivingmomssummer and we can all see what each other are doing. If you love this idea but get overwhelmed with all the activity ideas, let me help you out. I will do the planning and you do the playing. Sign up to receive an email that is sent every Sunday. Each email will contain 5 activities, a supply list, and practical encouragement. Everything will be so simple. Okay, are you ready? Just sign up here! I absolutely LOVE that sign! And going to Chick-fil-A on the last day of school sounds like my kind of tradition. That’s a great idea to fit in one special activity a week this summer. 🙂 Oh, I tried checking out your interview, but the page wasn’t found. What a pretty sign!! I can’t wait to check out the shop!! Have a great weekend!! 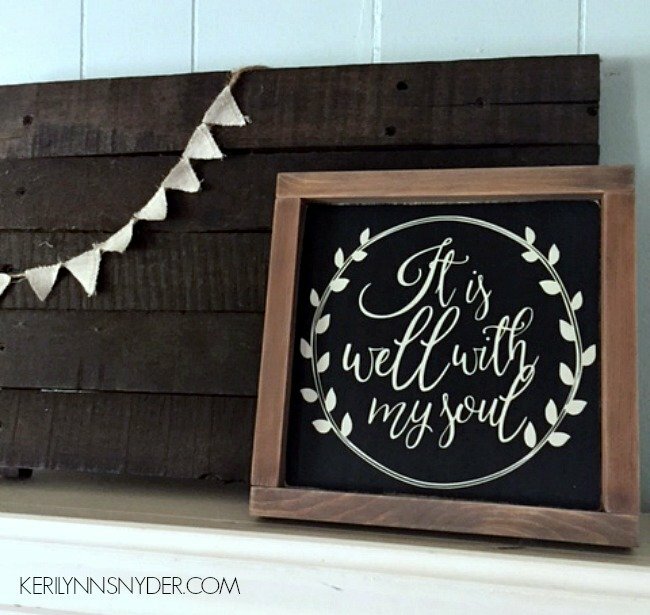 I love decor with words on it but my husband hates it! He thinks it’s “college-ish.” So we have to compromise which kills me!